Judith Wilcock graduated in 1992 and has worked in a variety of settings including the NHS, social services and the independent sector. She is registered with the Health and Care Professions Council and is a member of CMS-UK, the College of Occupational Therapists, COT Specialist Sections in Neurological Practice, Housing, Work and Independent Practice, the American OT Association, Headway and the Spinal Injuries Association. Judith initially undertook a rotational post within Burnley NHS Trust, progressing through to a more senior role with Airedale NHS Trust specialising in neurology; becoming the lead OT for clients with cognitive and perceptual difficulties. During this period she was involved in the first UK pilot for Intermediate Care and tasked to run an intermediate care service and develop a community based neurological service. Following this she worked in a busy district general hospital responsible for the acute care of people with neurological conditions and amputations. In 2000, Judith moved to work within the independent sector managing and developing the occupational therapy and social and recreational services within a national brain injury service at Priory Highbank Rehabilitation Centre. 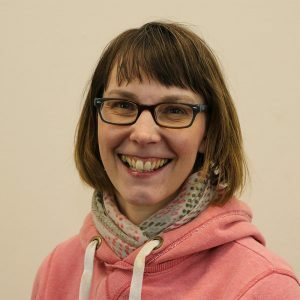 In 2003 Judith gained the award of Master of Science from the University of Bradford and as part of the award, undertook research into the role of the occupational therapist in the UK working in the field of Acquired Brain Injury. In 2004 Judith was asked to establish a community based acquired brain injury occupational therapy service for Hyndburn and Ribble Valley NHS Trust. This involved receiving referrals for clients in local and national hospitals, undertaking assessments, providing occupational therapy and liaising with consultants and commissioners regarding future care and therapy, as well as reviewing current services and providing expert opinion. Judith developed her role and the service to include other complex neurological conditions, spinal injury and neuro-palliative care and continued in this role until 2012. Judith maintains her knowledge and skill base by attending courses and special interest days, alongside critically appraising published materials. She has reviewed books for journals and presented at national conferences alongside lecturing at universities. Judith was selected from over 900 applicants to present at The International Brain Injury Association World Congress in March 2012 in Edinburgh on the topic of an integrated method of working to ensure that those with brain injuries can live successfully within the community. Judith now works as an independent consultant occupational therapist providing rehabilitation for clients with acquired brain injuries, spinal injury, other neurological conditions and complex amputations and fractures. She also acts as a case manager for individuals following catastrophic injuries, coordinating rehabilitation packages, sources equipment, facilitation return to work and enabling client’s to lead an enjoyable, fulfilling life with quality. Judith also undertakes expert work and is trained in the revised Civil Procedures Rules. Joanne has over ten years’ experience of working within the field of brain injury, in a variety of settings; working especially with those with complex and challenging behaviours. She has excellent communication skills and is able to adapt these to the situation and the individual involved. Her heart is grounded in occupational therapy and enabling individuals to maximise their potential; promoting independence and quality of life. Joanne is self-motivated and not afraid of new challenges. Joanne is employed as an Occupational Therapy/Case Management Assistant. Her role is varied and bespoke to the client for whom she has been employed. Joanne can implement individual treatment plans established by the occupational therapist, work as a member of the multidisciplinary team implementing treatment plans for physiotherapy, psychology and speech and language therapy. Joanne also works as a support worker for certain individuals undertaking a wide range of tasks and activities. Prior to this new venture, Joanne worked at the Transitional Rehabilitation Unit (TRU) as a supervisor for three and a half years in the behavioural unit. She managed thirty members of staff and coordinated the twenty one bedded unit; ensuring that the needs of the clients were met. She assisted in the rehabilitation and assessment process, attending case conferences and arranged daily structure and schedules for the clients. Following this role Joanne was employed as a team leader, managing a team of support workers, completing care plans and risk assessments, liaising with professionals and family members and implementing a programme of therapy and activities. In need of developing herself further, Joanne sought employment as a rehabilitation assistant; continuing in this role in conjunction with working part time as an assistant case manager. As well as coordinating care, Joanne worked alone delivering bespoke occupational therapy in client’s homes and the community. Joanne has experience of providing rehabilitation for clients with acquired brain injuries, spinal injury, other neurological conditions and complex amputations and fractures. She works well under direction but equally well as an individual within a multi-disciplinary team, supporting individuals and their families and providing quality rehabilitation. Joanne has experience of delivering programmes of education relating to the behavioural and cognitive consequences following brain injury. She is confident in her approach and able to provide good quality feedback to case managers, treating professionals and solicitors. She is person centred, seeking at all times to work in a holistic manner in order to maximise an individual’s potential. 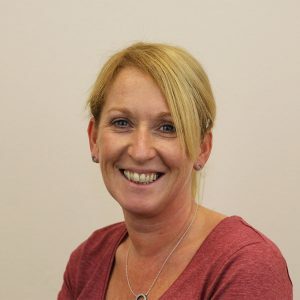 Joanne receives regular supervision from the director of Judith Wilcock Ltd, maintains her knowledge and skill base by attending courses and special interest days, alongside clinical case discussions and reviews. 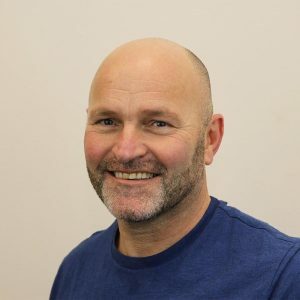 Chris has over 15 years’ experience working within the field of brain injury rehabilitation, in a variety of settings, working predominantly with service users with challenging behaviours and complex needs. He has excellent communication skills and is able to adapt these to the individual client and their situation or environment. Training and experience acquired during his supervisory roles have helped him achieve results for the clients he has worked with, enabling individuals to overcome any barriers and to maximise their potential, promoting quality of life and independence. 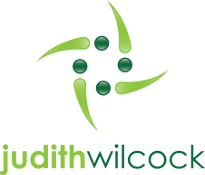 Prior to working for Judith Wilcock Ltd, Chris has had experience of providing rehabilitation for clients both within a rehabilitation facility, and in the community. Providing a service for clients with acquired brain injuries, spinal cord injury, other neurological conditions and complex amputations and fractures. Chris developed his skill base through working in various rehabilitation units across Greater Manchester and Merseyside to become site supervisor in charge of managing a team of staff, ensuring that the needs of the clients were met. Chris works with a client’s using a client centred approach, he is able to collaboratively generate goals with clients and offer individualised rehabilitation plans to suit their specific needs. He works well under supervision but also individually as part of a wider multi-disciplinary team. Chris has experience of working with neuropsychologists, case managers and solicitors, along with clients and their family members. He has a confident approach to his work and is able to provide good quality feedback to case managers, treating professionals and solicitors. Chris receives regular supervision from the director of Judith Wilcock Ltd, maintains his knowledge and skill base by attending courses and special interest days, alongside clinical case discussions and reviews. David graduated from the University of Salford in 2016. Throughout his three years at university he was able to develop a wide knowledge base in a number of different areas of occupational therapy by working in a number of settings, with a range of service users. He has experience in a range of settings including community neurology/neuro-rehabilitation and pulmonary rehabilitation, forensic mental health, community intermediate care and a role emerging experience within a high school where an occupational therapy practice had to be established. This wide range of settings has not only increased his skills but has also highlighted his passion for occupational therapy and enabling individuals to maximise their own potential as an occupational being, also empowering and promoting client’s independence. Working in community settings has allowed David the opportunity to work with clients on a one to one basis and also part of a group. While working within the community David has been able to gain a real understanding of the importance of client’s independence when in their own home and their own environment. 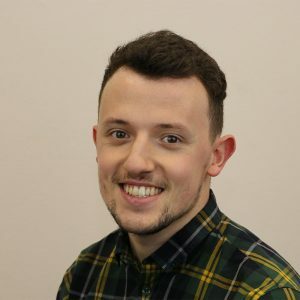 With strong emphasis placed on the individual and their independence, community placements provided David with the platform to formulate client centred goals for clients with a strong focus on the service user’s needs. Having being involved in a role emerging placement, the experience gave David the opportunity to develop an occupational therapy practice within a school setting that hadn’t had any occupational therapy input previously. David developed referral criteria, using evidence to support his clinical reasoning for inclusion and exclusion criteria for referrals. David also had the opportunity to adapt standardised assessments to suit the age of service users, ensuring the terminology was understandable and in turn providing a more client centred practice. Overall the experience enabled David to work in a more pragmatic way, setting up an occupational therapy practice, as well as promoting the profession to a wider market. David can collaborate with clients, establishing goals in an attempt to formulate individualised treatment plans, work effectively within multi-disciplinary teams, using effective communication skills to collaborate with physiotherapists, therapy assistants and nurses to formulate holistic treatment plans for every client he works with. David receives regular supervision from the director of Judith Wilcock Ltd, maintains his knowledge and skill base by attending courses and special interest days, alongside clinical case discussions and reviews. We're never far from our emails, send us a message and we will get back to you as soon as we can.